1. 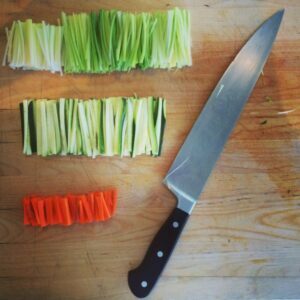 All about that prep- Prepping is the most time consuming part of cooking. Try prepping the night or morning before in order to cook quicker and reduce the amount of stress involved. 2. Save your spices- Most people put their spices above the stove, on a shelf, or on their counter. Keeping them in a place that’s humid, warm, or in the sunlight causes the spices to lose flavor. Try keeping them in a cupboard or fridge. 3.Better baking- Before baking leave your eggs and butter out overnight so they become room temperature. This allows air to become trapped in the substance and will be released during baking to make your goods light and soft.